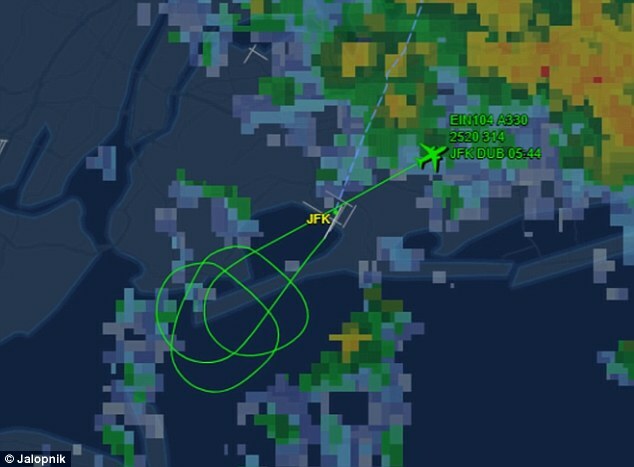 An Aer Lingus pilot has found himself in a crabby exchange with a New York air traffic controller after the two men started arguing about the best flight route to take. 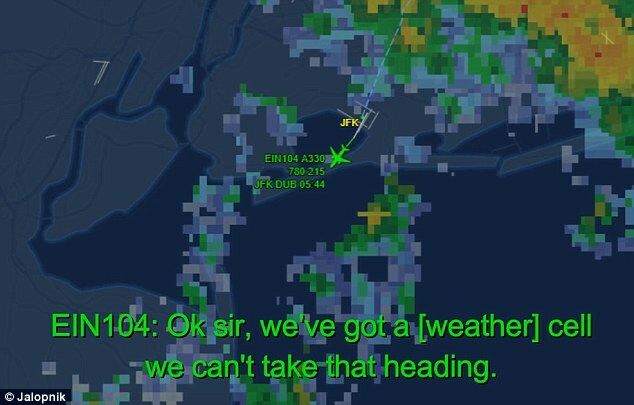 The tense exchange, which was recorded on the radio, started just moments after the Irish pilot took off from JFK airport en route to Dublin on Sunday. The pilot was made to circle around the airport for an hour by the air traffic controller after opting not to take the flight path because he thought the weather conditions were unsafe. 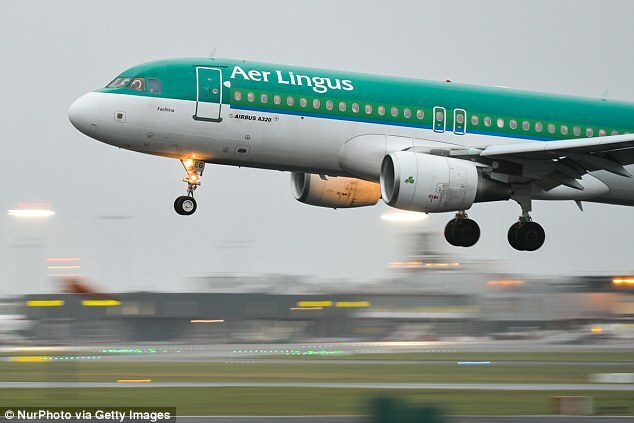 In the three minutes of audio, the air traffic controller can be heard radioing the Aer Lingus flight - referred to as Shamrock 104 Heavy - after takeoff. The pilot was supposed to take off and fly left across the Atlantic, but he spotted a storm in that direction and opted to head straight while he awaited further instructions. The controller appeared to become agitated as he told the pilot that all other flights had flown through the storm, insisting that it was 'lightest category'. 'Shamrock 104 Heavy, it's light. I have six categories of weather here, that's the lightest category. I've had no adverse ride reports south of the airport by 10 miles,' the controller said. A flight tracker shows the Aer Lingus flight repeatedly circling the airport as a new route is worked out. After going back and forth, the pilot was finally given the all clear to carry on. 'Before I go, we didn't create any situation, we flew the aircraft in a safe manner and my boss will be in contact with your boss. Good day,' the pilot said. In my 68 years of flying I've lost at least a dozen pilot friends killed by ATC mistakes and would have joined them myself if I'd unquestionably accepted all controllers instructions.